My friend and I have started a tradition – to go to new places to eat out when we both get our pockets full. But there is one condition – it cannot create a hole in our pockets again. So we are now trying out new places, new dishes which are not that expensive or even fancy. One of those visits was to a restaurant that served Korean food, called Korean Kitchen Picnic, or just Picnic as it is popularly known. I’d visited Picnic for the first time few months ago for a small get together with friends. And since, I’d been hearing a lot of good comments about the restaurant. I suggested it to my friend and we decided to try it because he never had Korean food before. 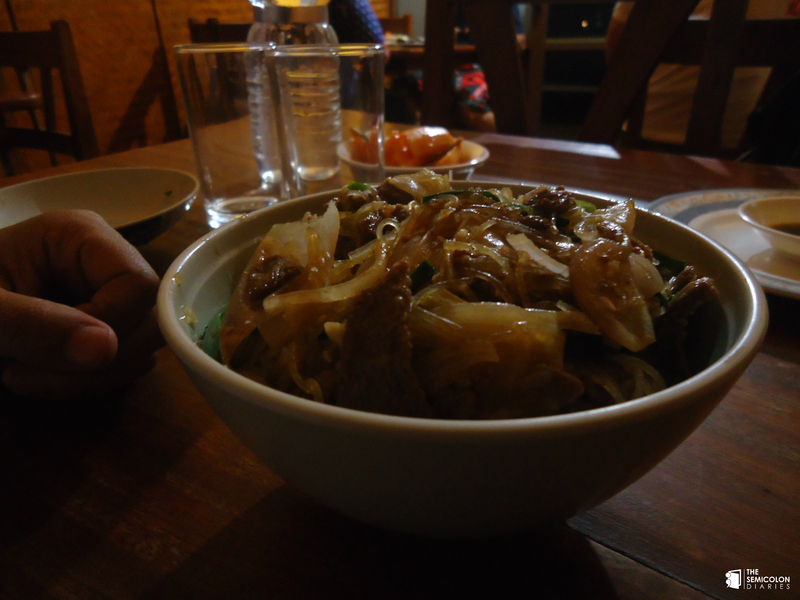 Picnic is a small restaurant located inside a quieter alley of Tridevi Marga in Thamel. Started in 2002, the first thing you would probably notice is the size of the restaurant that might look small with two small rooms but then there are more rooms in another building. We chose the room near the kitchen because we were too lazy and hungry and tired to go to the other building. The second thing that I noticed was the thick menu full of pictures that left me baffled at first. Despite being the second time, I had tough time choosing from the menu because I forgot what I had for the first time. 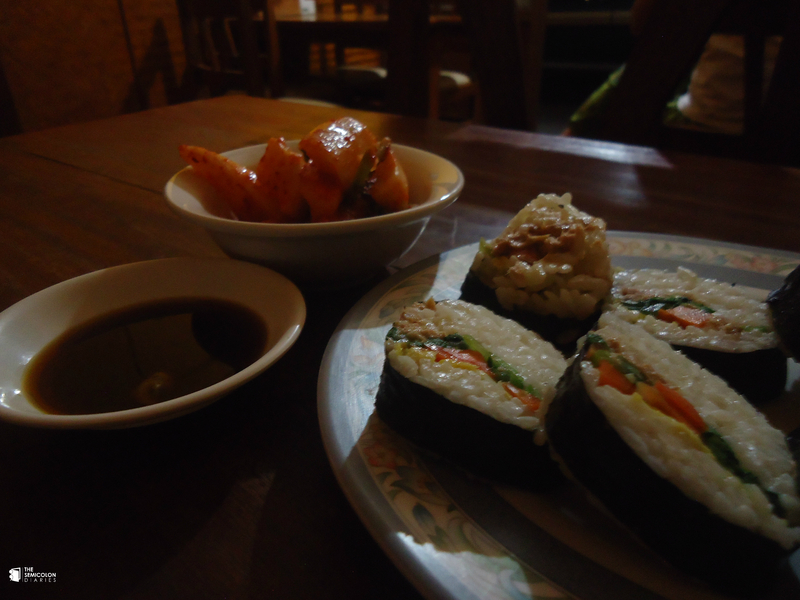 We finally settled for Tuna kimbap and Bulgogi set – Rice with pork. The third thing I noticed was that the service was slow. Maybe because it was the time after the blockade. And also that it gets pretty dark once the loadshedding happens. Pretty disappointing. Compared to the previous time when I was there, the ingredients of Kimbap seemed to have more carrot than Tuna, making us wonder whether we ordered a vegetarian Kimbap. Bulgogi Rice Set was delicious, just the way it should have been. If you are super hungry then this is the one you need to have. I’d eaten the one with chicken and eggs last time I was there, and both were awesome. At the end of the day, we both think it was totally worth the trip as an introduction to Korean food. Will I go back again? Definitely. Will I remember what I had? No. But it won’t matter either. Go to Picnic if you’ve never tried Korean before and just experiment (don’t forget to ask your server though).